Installing a driveway? Repairing damaged concrete? It's time to call the professionals from A Plus Paving, LLC the preferred paving contractor in Atlanta. 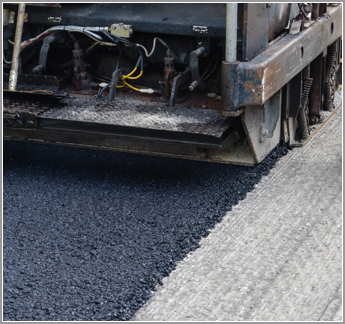 For more than 45 years, our experts have provided commercial clients just like you with the highest quality asphalt paving services available. Let us do the same for you at a price that cannot be beat. No two clients have the exact same paving needs. Staffed by industry-leading pavers, our paving company is a step above the rest. We understand that your project's specifications differ than others. After assessing your project, we provide you with multiple options that will get the job done without breaking your budget. In addition, we don't start projects only to leave them half finished. Nor can you expect shoddy workmanship. Here, we're committed to delivering top-notch services from beginning to end, resulting in a high-quality paved surface. Our commitment to quality isn't the only thing separating us from other paving companies. We don't consider the job done until the work site is clean. Using HEPA-filtered vacuums and other top-of-the-line products, our crew cleans up, sanitizes and polishes restrooms (if applicable), details walls, windows, floors, and doors, and removes all construction debris. With our services, you can rest assured that your pavement will be more than installed correctly. We'll go above and beyond to keep your asphalt or concrete in pristine condition, too. If you're not convinced that we're the right paving company for you, we encourage you to call to speak with one of our reliable crew members. We'll walk you through the details of your project and provide you with an accurate estimate that outlines the costs. You're sure to be amazed by our prices, as well as our many years of hands-on experience. Give your exterior an elegant look with the help of our paving company. Contact us to get started on your project. We proudly serve business owners throughout Atlanta, Lawrenceville, Lithonia, Conyers, and Jonesboro, Georgia. Make our Paving Contractor in Atlanta your only choice for paving services. Discover why we are the preferred Paving Company for many area businesses.